‘There’s never been a better time to be a writer.’ I’ve seen this mantra frequently over the past few years in blogposts, conference reports and news items. And I don’t disagree there’s been a lot to celebrate. I have permission to quote my friend’s words, but he wanted to remain anonymous. So we’ll call him Oscar, in honour of the internet tradition of attributing everything to Mr Wilde. Oscar: I’m looking forward to Ever Rest. RM: It will be a while before Ever Rest is fit to show. When it is, I’m going to look for a new agent. 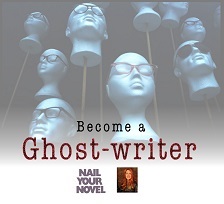 It’s so desperately hard to get fiction noticed, especially if you write odd-lit like me. I have friends in mainstream publishing who give me furious pep-talks about how I’m on a hiding to nothing by publishing literary fiction as an indie. Even my own husband says it. And they’re right. I need a way to prove myself to the serious reviewers and opinion formers. An example. I recently applied to the Royal Literary Fund for a grant. 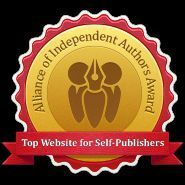 I’d been assured by another sponsored author that they would consider a writer who had published two literary novels, but when I checked their rules I found they excluded self-publishing. Nevertheless, I wrote explaining my background, teaching credentials, why I’m indie (more about that here ). Their reply was ‘you haven’t commercially published sufficient work’ and they refused any further discussions. This is the hole we find ourselves in, trying to get indie-published work recognised. Oscar: You’re a smart lady to be looking for an agent. I’m beginning to think the biggest part of the indie movement is to smack the big machines into better behaviour. They have the money and power to do what we cannot do. The tides will turn. I watched it happen in photography. Just please keep doing what you’re doing. It’s needed. Without people like you, we could lose literary writing in this mess. And it is a mess. I can’t believe some of the things I’m reading from authors who make big money. RM: Speaking of which, you’ve no idea how many people who say to me ‘can’t you just toss off a series to get some bestsellers’? Oscar: I tossed off a series – and then I pulled the books. I felt dirty. I have an agent friend. In 2014 he was flying high, making sales, getting high-profile assignments, negotiating foreign rights. He said all of that is over now. It’s hard to sell *anything* to a trad house because we’ve lost our attention span for long form. Everybody is on Twitter. No one has the time to read. He has always been a force of nature, enormously talented, confident that he can take on the world. This throws me for a loop. I check in on Kindleboards now and again. Yesterday I saw an author who started out making $13,000 a MONTH on four poorly written books say she’s now ghosting for other indies to make ends meet. Another author posted about the publication of his new ‘novel’, which is 117 pages long with lots of white space (probably 15K words) and selling for $2.99. Everyone was fawning over him and his swift production. I saw Joanna Penn remark that we aren’t in competition with each other, but with so many other forms of entertainment. People do *not* sit still for long, unless they’re binging on Netflix for hours on end. How are we to compete with that? Some authors are doing exceptionally well. They crank out a book a month and direct it at a very young audience that does not yet know the value of a dollar. I know scads of young adults, and they read copious amounts of books, but they’ve got to be free. I nearly blow an artery when I hear them say how poorly written the books are, how many grammar and style errors there are – but they don’t care. As for craft and quality, in one forum I saw people asking others to stop putting out junk. The remarks degraded, as they always do, to people defending the ‘raw’ writing their fans demanded. Many admitted to using no editors at all, claiming it took the edge off. Oscar: My agent said there are precious few of us left with the attention span and appreciation of finely crafted work, and we need to hold on to each other dearly. That’s all fine and well, but how much longer can we continue buying each other’s books? But it’s not all doom. My partner and I are deeply involved with theatre and have watched that die a slow death, and even Masterpiece Theater removed ‘Theater’ from its name so people won’t get turned off by it. We hang on because it is an eternal artform waiting to be re-born. I believe the same is true for longform, literary novels. It’s a cycle, and the cycles are moving faster. RM: Right. Who would have thought, five years ago, that Hilary Mantel would be a household name? Listen, while publishing sorts itself out, we write. Have a look at this interview where the musician Sarah Kirkland Snider is talking to Porter Anderson about the sense of connection and completeness we have when we create good work. That’s what it’s about. Oscar: There is a passage from Nevada to Utah called The Virgin River Gorge. 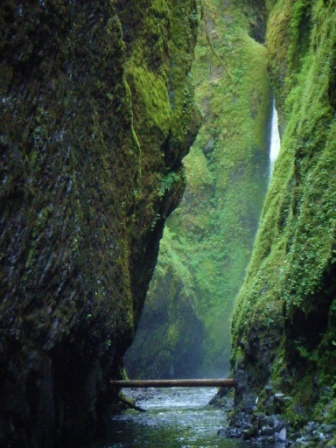 It’s at least a thousand feet deep and so beautiful it makes one’s heart stop. It was carved by a small body of soft water that moved slowly and peacefully because it was the only thing it knew how to do, the only path it could take. With time, it created the impossible and a majestic beauty and monument to the power of unyielding persistence. Do you have days like this? How has this year been for you in your writing and publishing career? My door is open. My guest this week is releasing her debut novel, a tale of love, loss and friendship centring on a pair of twins. She says that music was her anchor while she was brainstorming ideas and exploring the characters, helping to deepen her characters and refine her plot points. Her soundtrack ranges from the mournful to the joyous, with tracks by Iggy Pop, Evanescence, Robbie Williams and Samuel Barber. She is Christina Banach and she’s on the Red Blog with her Undercover Soundtrack. I’m finding it so curious to see how many novelists in this series are inspired by Bruce Springsteen. He’s probably not the kind of artiste people would imagine if you mentioned using music as a muse to write, but he’s behind so many characters and character dilemmas. My guest this week has compiled writing soundtracks ever since he was at school, and still keeps mixtapes from that time. He revisits them occasionally out of amused curiosity, and says that Springsteen gave his characters a gritty humanity he couldn’t otherwise have found. Decades on, he’s using soundtracks just as much as ever – sometimes not to write, but to fill himself with the book’s mood before he sits down at the keyboard. 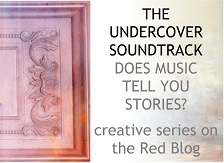 He is Will Overby and he’s on the Red Blog with his Undercover Soundtrack.